Let me wish all the viewers of this blog a very happy new year and start 2012 on my blog with a post of Lord Ganeshji’s Sankashti dates for this year. This entry was posted in Uncategorized and tagged Sankashti. First of all, let me wish all the viewers of my blog a very happy and prosperous new year. I would like to put up Sankashti dates for the year 2011, this is the fourth year in succession that I am putting up these Sankashti dates. I have referred to the Udayavani diary as usual and in the event of any changes I will update promptly. I have also put up the moon rise timings as per the same calendar. This year Angarika Sankashti falls in the month of March. This entry was posted in Uncategorized and tagged Festivals, Sankashti. 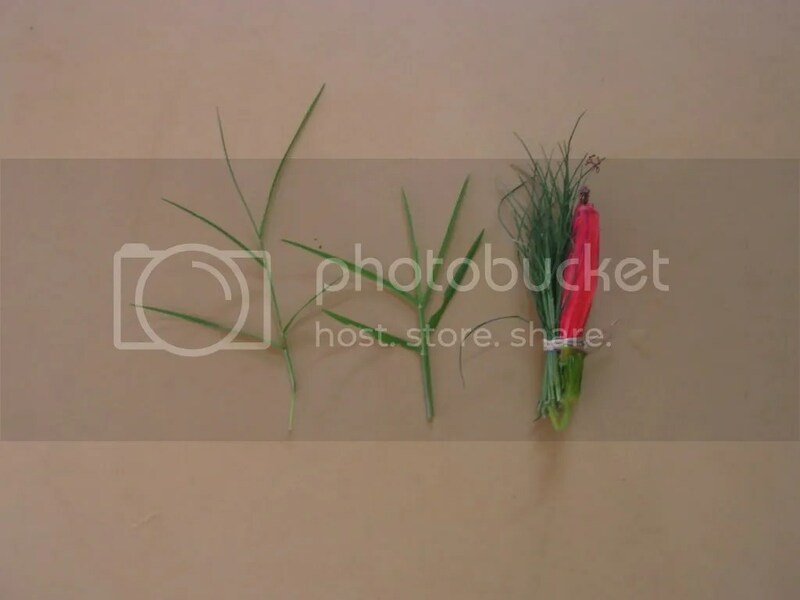 At the request of my readers, I am devoting this post to describing a Sankashti Puja proceedure. As with other ritual, there are many ways to perform this puja as well, but the procedure I am describing is something I have followed for several years and is relatively simple. I will try to be as precise as I possibly can as I describe it. Lord Ganesha is the God of knowledge. We worship him first before starting any work. The name “Vigneshwara” is an apt name for Lord Ganesha as he is known to remove the hardest of all obstacles [Vigna] and allow streamlined success in whatever endeavors we set ourselves upon. It is the same Lord Ganesha who was the only one capable of writing Maharshi Ved Vyas’s dictation of the Mahabharat. Sankashti Chaturthi falls on the fourth day of the second fortnight of every month on the Hindu Calendar. (See dates for 2008) Devotees fast for a whole day and break their fast after having the darshan of Lord Moon and worshiping Lord Ganesh. This vow is observed to get rid of problems in life. To start with as soon as you get up have your head bath. Clean the sacred place/temple at your house. Do your morning prayers. Always hum Om Ganeshaya namaha 108 times daily. I always hum the 108 names of Vinayaka. They are called the Ganesha Ashtothara (see below) of Lord Ganesh which is put up in the next paragraph. On the Sankashti day one can hum the 108 names and bow to the lord 21 times either in the morning or at night just before the moon rise however convenient. During the fasting period, Sabudana kitchadi (which I earlier put up here), fruits /curds with Beaten rice are permitted. If one cannot utter the 108 names due to shortage of time or any reason, he/she can byheart this song which is Sankashta Nashana Sthothra and is written underneath. 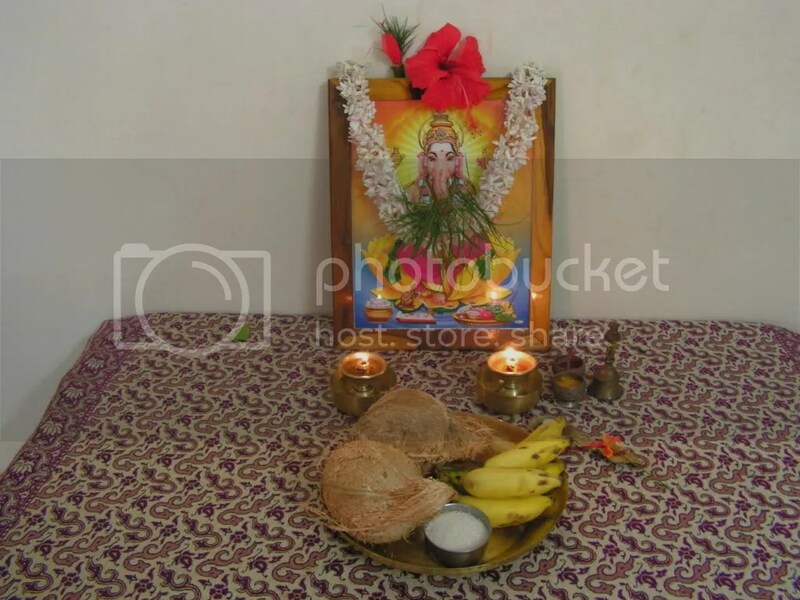 Decorate the photo of Lord Ganesh with available flowers. The red Hibiscus is the favorite flower of the Lord. The five petalled flower placed on the photo of the lord is usually prefered. The doorva is a must if it is available. 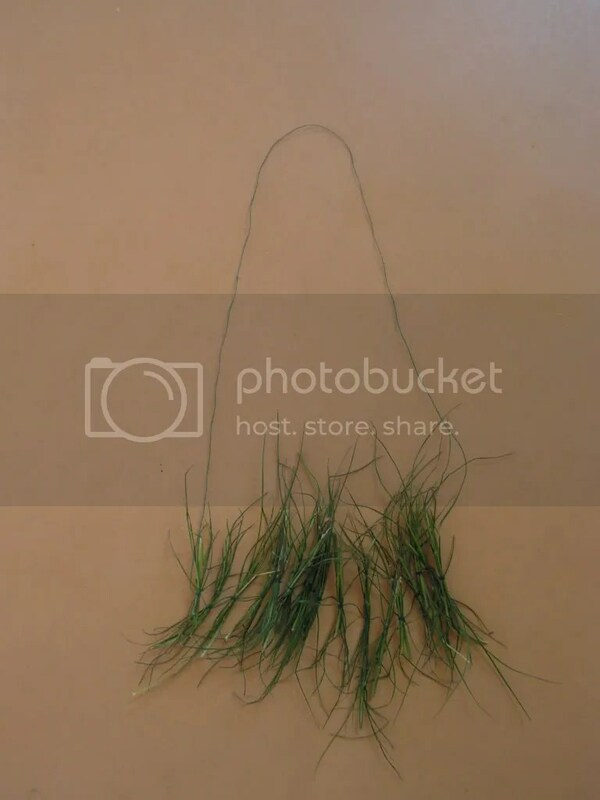 Doorva is a 3 bladed grass (creeper). The fern in one’s garden is not Doorva. One can keep this in a bunch of 21 with a Hybiscus flower tied with it as shown in the image below. One can even make a long garland (mala) with doorva and decorate the photo along with flowers. It’s one’s option depending upon the availability & convinience. Om Vinayakaya namaha, Om Vighnarajaya namaha, Om Gowri puthraya namaha, Om Ganeshwaraya namaha, Om Skhandagrajaya namaha, Om Awyayaya namaha, Om Puthaya namaha, Om Dhakshadhkshaya namaha, Om Dwijapriyaya namaha, Om Agnigarvachidhe namaha, Om Indrashri pradaya namaha, Om Vanibala pradaya namaha, Om Sarva Siddi pradayakaya namaha, Om Sharvathanayaya namaha, Om Sharvapriyaya namaha, Om Sarvathmakaya namaha, Om Srashtikarthre namaha, Om Devanikarchitaya namaha, Om Shivaya namaha, Om Shudhaya namaha, Om Budhipriyaya namaha, Om Shanthaya namaha, Om Dwaimathuraya namaha, Om Munisthuthyaya namaha, Om Bhakthavighna vinashakaya namaha, Om Ekadanthaya namaha, Om Chathurbahave namaha, Om Shakthisamyuthaya namaha, Om Chathuraya namaha, Om Lambodaraya namaha, Om Shoorpakarnaya namaha, Om Herambhaya namaha, Om Brahmaviththamaya namaha, Om Kalaya namaha, Om Grahapathaye namaha, Om Kamine namaha, Om Somasuryagni lochanaya namaha, Om Pashankushadharaya namaha, Om Chandaya namaha, Om Gunatheeshaya namaha, Om Niranjanaya namaha, Om Akalmashaya namaha, Om Swayam Sidharchitha padaya namaha, Om Beeja Poorakaya namaha, Om Avyakthya namaha, Om Gadhine namaha, Om Varadaya namaha, Om Shashwathaya namaha, Om Krathine namaha, Om Vidvathpriyaya namaha, Om Veethabhayaya namaha, Om Chakrine namaha, Om Ikshuchapadhruthe namaha, Om Achochalakaraya namaha, Om Sridaya namaha, Om Sripathaye namaha, Om Sthuthiharshithaya namaha, Om Kuladribrathe namaha, Om Jatine namaha, Om Chandrachoodaya namaha, Om Amareshwaraya namaha, Om Nagayajhnopaveethine namaha, Om Srikantaya namaha, Om Ramarjithapadaya namaha, Om Vrathine namaha, Om Sthulathundaya namaha, Om Thrayikarthre namaha, Om Samaghosha priyaya namaha, Om Purushothamaya namaha, Om Sthulathundaya namaha, Om Agraganyaya namaha, Om Gramanye namaha, Om Ganapaya namaha, Om Sthiraya namaha, Om Vradhidaya namaha, Om Subhagaya namaha, Om Shooraya namaha, Om Vageeshaya namaha, Om Sidhidayakaya namaha, Om Dhoorvabilwapriyaya namaha, Om Kanthaya namaha, Om Papaharine namaha, Om Krathagamaya namaha, Om Samahithaya namaha, Om Vakrathundaya namaha, Om Sripradaya namaha, Om Sowmyaya namaha, Om Bhakthakankshithadaya namaha, Om Achuthaya namaha, oam kevalaya namaha, Om Sidhaya namaha, Om Sachidanandavigrahaya namaha, Om Jhnanine namaha, Om Mayayukthaya namaha, Om Dhanthaya namaha, Om Bramhishtaya namaha, Om Bhayavarjithaya namaha, Om Pramathadwaithyabhayadaya namaha, Om Vyakthamurthaye namaha, Om Amurthakaya namaha, Om Parvathishankarothsunga-khelanothsavalalanaya namaha, Om Samasthajagadadharaya namaha, Om Varamooshakavahanaya namaha, Om Hrashtasthuthaya namaha, Om Prasannathmane namaha, Om Sarvasidhipradayakaya namaha. Sri Ganesha ashtothara namavali samapthi. At night just before moon rise finish cooking and hum the Ashtothra , the sankashta nashana sthothra. (either both or only the Sankashta nashana sthothra however convinient) offer 2 coconuts, banana, flowers to the Lord, also offer some fragrance sticks, offer the prasad prepared and then Aarathi also. Sing the song Jaya dev jaya dev or switch on the C.D. for the song and ask for his blessings. I don’t consume any food other than Sabudana kitchadi. More over I also don’t consume garlic and onion in any dish on Sankashti . However regarding moon rise, sometimes due to the clouds etc., moon may not be visible at the specified time. In that case after the moon rise timings one may perform the puja and enjoy dinner with your family. Modaks can also be prepared. I will post the recipe soon. Sankashti can be followed through out life. One can also follow only the Angarika sankashti. (Sankashti which falls on Tuesday is called Angarika sankashti) It is as per one’s convinience. Note:One can start his/her day with this prayer. It is as follows. See all my Sankashti related posts here. Rava Laddoo/Laddu is the delicacy of Karnataka. It is usually prepared during festive occasions such as Janmashtami and other religious functions observed by the Kannadigas in places like Bangalore and Mysore. Rava Laddoo is made from the thin semolina called the Chiroti rava. Some people also use Bombay rava, but it being thicker there are chances that the Laddoos become too brittle to handle and distribute. Even taste wise, I prefer when they are made out of Chiroti rava it would be better of. A note of caution though is that although they are easy to prepare as you will from the description below, its unlikely you might get it right the first time. So do not be disheartened and try again. Sankashti this month being on Tue, March 25, I hope you will find sufficient time to try this and get it right for the occasion. I am putting this up at the request of one of the readers who prepares Coconut-Rava Laddoo as a prasadam/offering for sankashti. 1. Place a broad based bowl on the gas with 2 teaspoons of liquid ghee in it. On heating add the semolina and fry it, till you get a pleasant aroma and transfer out. 3. 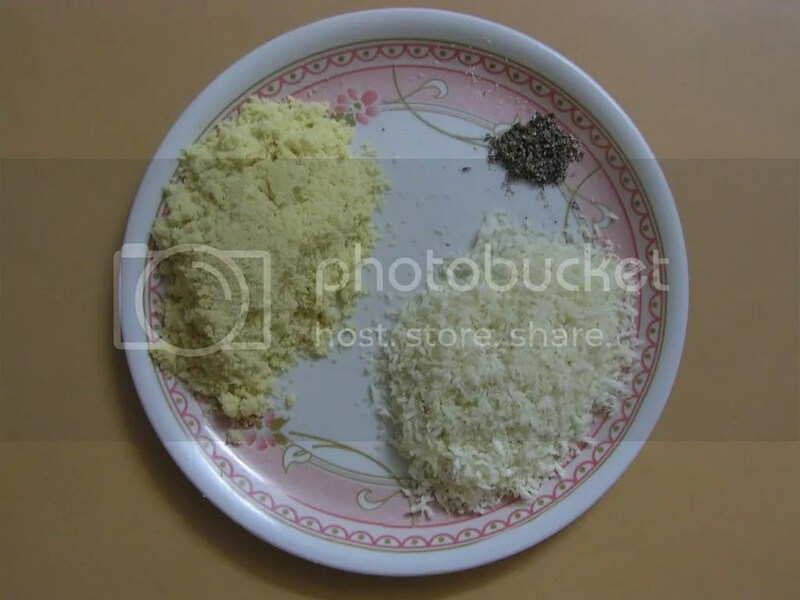 In the same/similar broad-based bowl, take 1 spoon of melted ghee and fry grated coconut till the coconut dries up as shown in the image below. Do make sure that it does not burn. 3. Peal cardamoms and keep the seeds aside. 4. Place a bowl with 150 grams sugar and 175 grams water on a medium flame and bring it to boil and reaches a 1 string (one thar)consistency. 5. On boiling, switch off the gas and add fried Semolina, coconut and the cardamom seeds from above steps and stir well. Keep this mixture aside for a while and let it cool. 6. 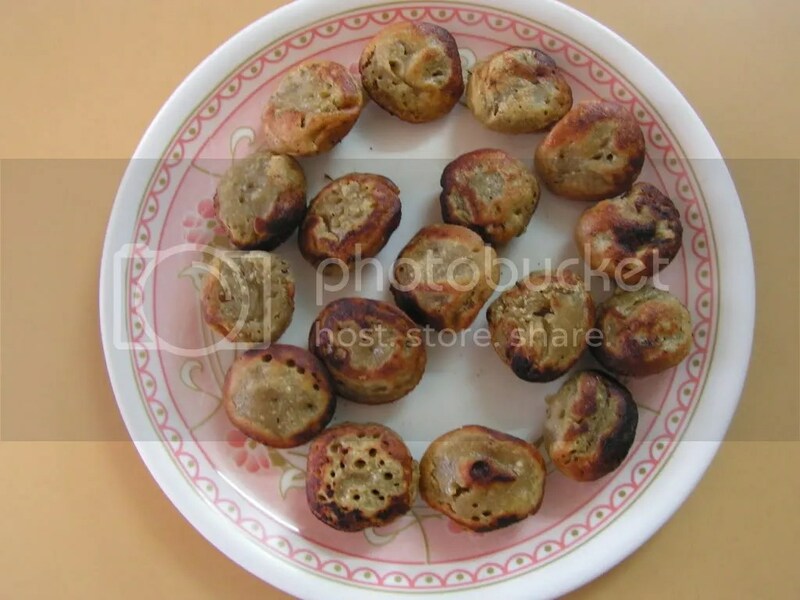 When cooled tie laddoos adding resin/Kishmish to each laddoo as shown in the image below. 1. Please see that the sugar syrup is done to only 1 string consistency. It should be tender string, else you may not be able to tie the laddus at all. So give a trial just before you prepare for the prasadam. 2. 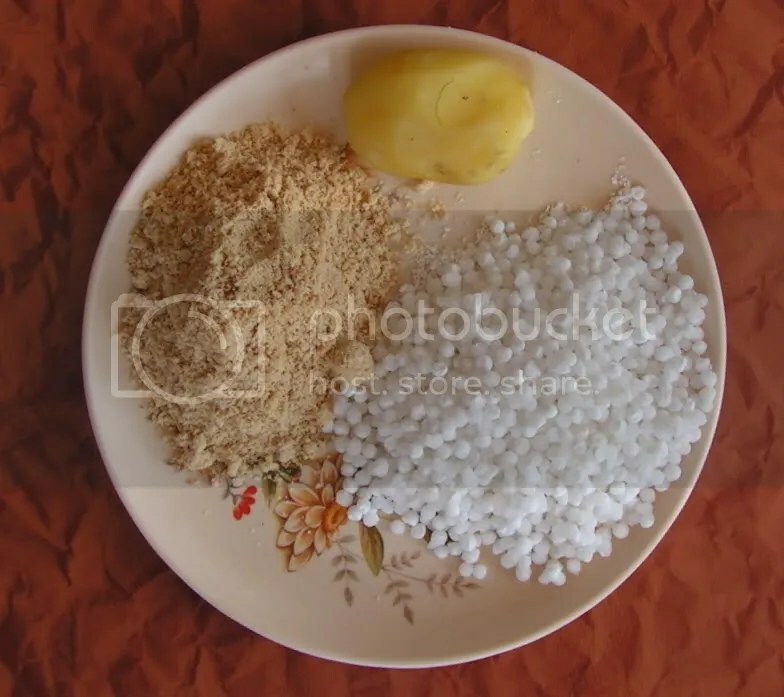 The quantity of water also depends upon the Semolina you use for it. Suppose you do not get to tie the laddus just sprinkle a little milk and you can tie it if the string is more than 1. Shelf life for this dish could be 8-10 days if stored at room temperature. If stored in refrigerator it could last even for a month. 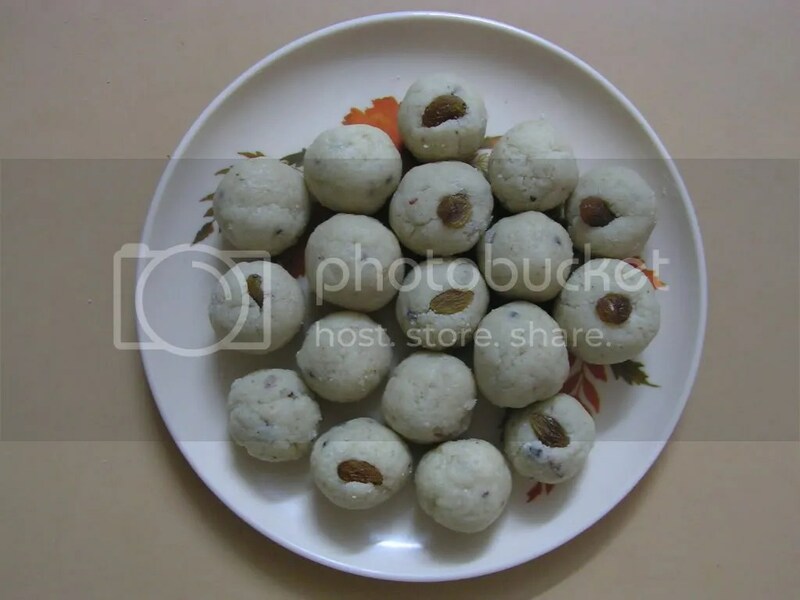 This entry was posted in Uncategorized and tagged 45 minutes, Festival food, Laddoos, Sankashti, Sweets. Appam is the favorite dish of Lord Ganesh and is a common prasadam for Sankashti and Ganesh Charthurthi (so also is Nevri which I put up earlier). In fact there are families that have for generations followed the custom of preparing and offering specific items as prasadam during Ganesh chathurthi. Apart from the festive nature of the dish, appam is also prepared at home as a snack. It is generally prepared with Split black gram Dal and rice, although sometimes Bombay Rava is used instead of rice. 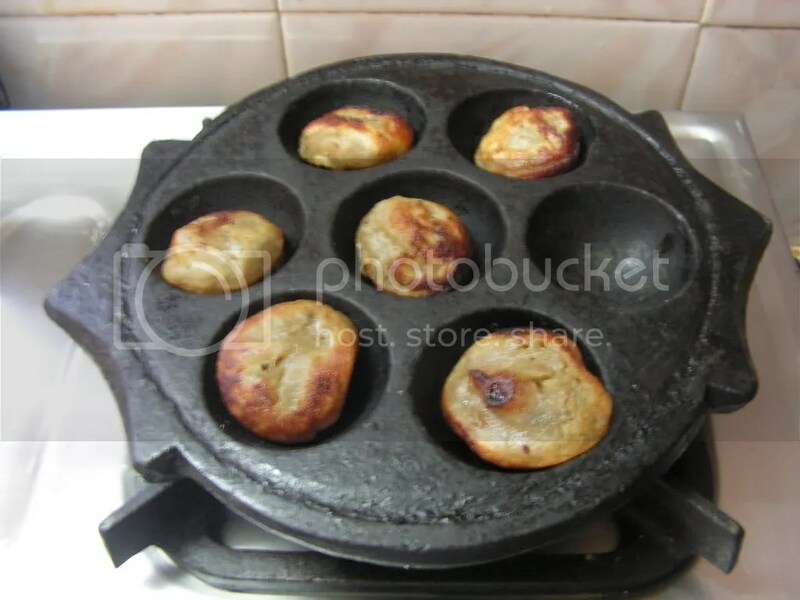 Although both these varieties are prepared from fermented batter and hence require advance planning, the variety of appam I am describing here can be prepared instantly. I am putting up this recipe since it is very easy to prepare and very sacred to the Lord. 1. Grate coconut, almonds and keep it aside. 2. Crush Molasses/Jaggery, peal cardamom and cut resins. 3. Mix crushed Jaggery, grated coconut and pealed banana in the mixer/blender and grind it to a smooth consistency adding sufficient quantity of water. 4. Empty the mixture in a bowl and add wheat atta and semolina to it. Add remaining water to bring it to the consistency as shown in the image below. 5. Add cut resins, grated almonds and pealed cardamom to it. Add a pinch of cooking soda and salt to the batter. 6. Stir the batter. Place Appam griddle on medium flame and add pure ghee to it. 7. On heating add little batter in each mould and close with a lid. After about a minute or 2, turn upside down with a spoon/blunt knife and cook the other side. You may add some ghee if you prefer. 8. Transfer it to a bowl and serve it with amul butter or pure ghee. Appam is ready. – I have shown griddle without any oil/ghee, since the photo would glare and there will be no clarity. – Please do not overheat and burn the dish to avoid turning bitter. – If kids love the dish we can serve it for tiffin/lunch box as well. 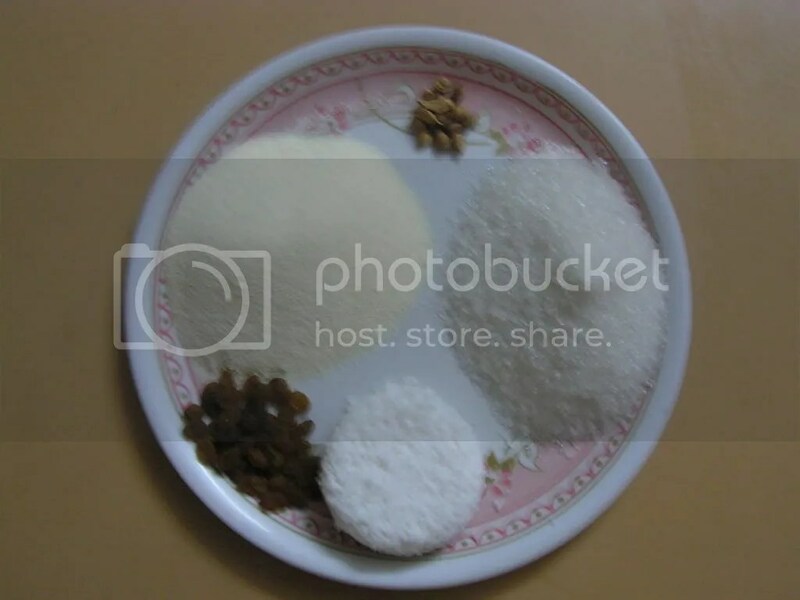 This entry was posted in Uncategorized and tagged 30 minutes, Festival food, Sankashti, Sweets. Sankashti always falls on exactly the fourth day after the full moon day of every month. Many of us follow it by fasting the whole day in various ways to suit one’s convenience. Many of them follow only that Sankashti which falls on Tuesdays, it is Lord Ganapathi’s day. There is a belief that if a person follows Tuesday’s Sankashti, it is as good as having followed 21 Sankashtis. In this post I am putting up the exact dates and days on which Sankashti falls each month in the coming year. If there are any changes, I will update this post. I have also mentioned moon-rise times for those days since people have their dinner only after the moon rise. In this year, there is only one Tuesday Sankashti, which falls in March 2008. See a list of other Hindu festivals here. Sankashti is Sankashta Hara Chathurthi. People have cut short it by naming it as Sankashti. It comes once in a month, falling exactly 4 days after the full-moon day. People follow it by fasting the whole day and visiting Ganesh temple in the evenings. Gana homas are held in almost all Ganapathi temples in the early mornings. I believe that Lord Ganesha is so powerful that he fulfills everybody’s wishes if they are made with true devotion. He is the remover of obstacles (hence also the name Vigneshwar) and as such worship him before starting an endeavor. It is the same Lord Ganesha who was only one with the capacity to write Maharshi Vedavyasa’s dictation of the epic Mahabharat. Yesterday was Karthik Sankashti. Since it was on tuesday, its called Angarika sankashti. This is the day we eat Sabudana Kichadi. 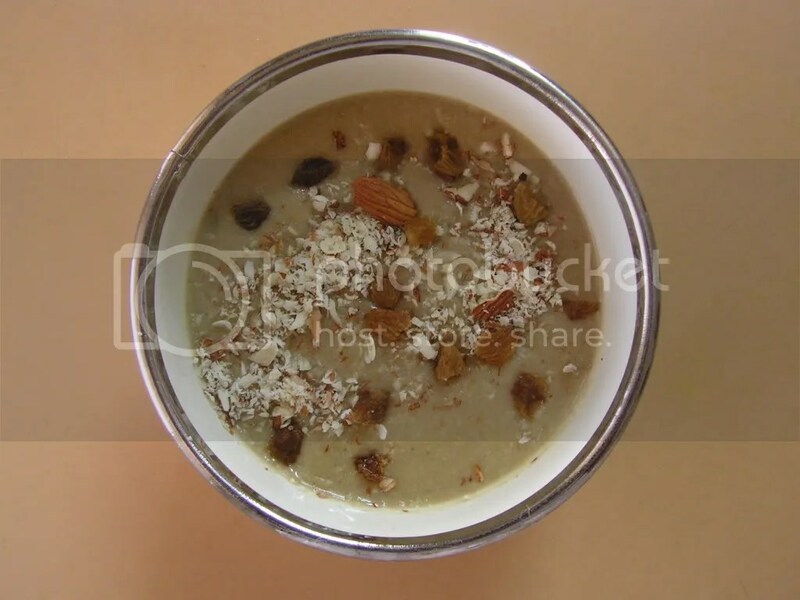 I am putting up the recipe for Sabudana Kichadi here. This dish is prepared from Sabudana, Peanut powder and boiled potatoes. Sabudana is called Sabakki in kannada. 1. Wash Sagu (sabudana), drain water and keep it aside for about 2 hours. 2. Wash, peal, and boil potato in the cooker as usual and cut them into small pieces. 3. Roast peanuts until you get a pleasant aroma and properly done in such a way that it is ready to eat. 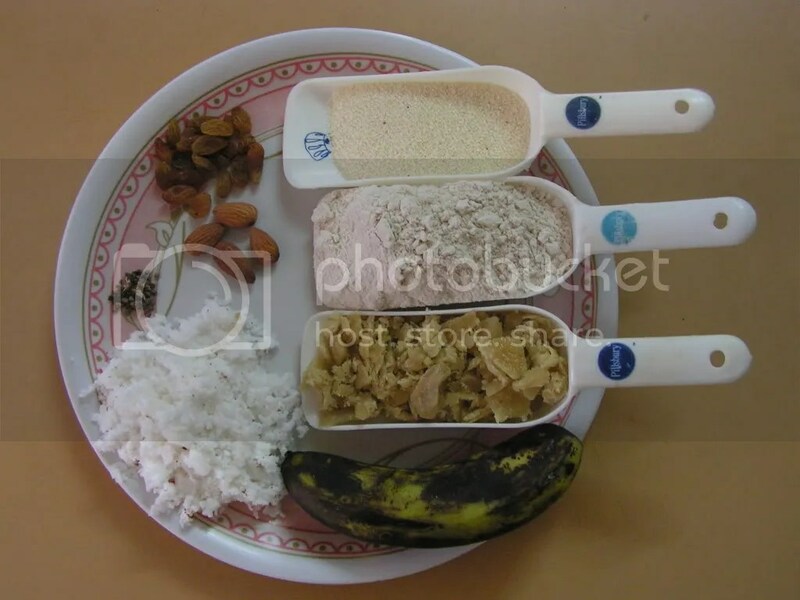 Peal and powder in the blender/mixer to a medium/fine consistency. 4. Mix potato pieces, sagu, peanut powder, lemon juice, salt and (pinch) sugar and keep it aside. 5. Keep a shallow botton bowl on the gas and pour 4 teaspoons of oil in it. Add mustard and black gram Dal. 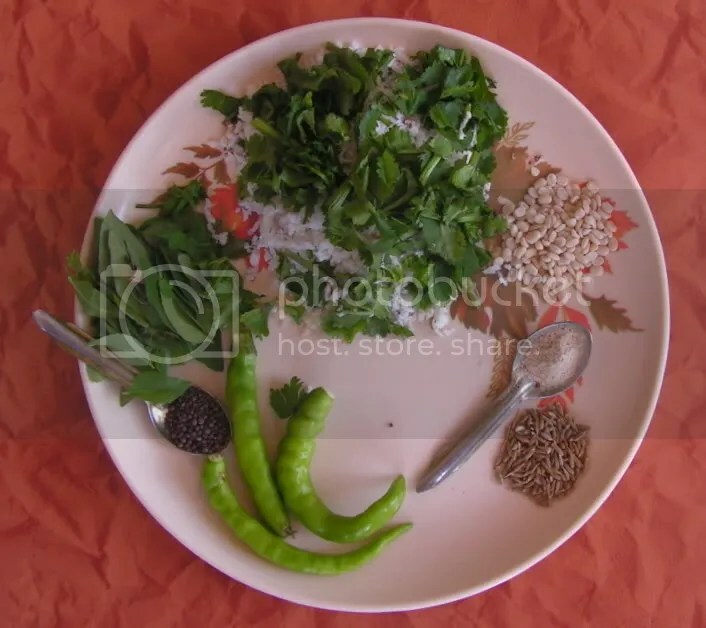 On sputtering, add green chillies, curry leaves and cumin seeds to it and mix. 6. Add asafoetida powder and straight away add the ready mixture from Step 4 and maintain medium flame. 7. It is ready in around in ten minutes. Decorate with grated coconut and corriander leaves. It can be a lunch box as well. At night after moon-rise and according to the timings in the calender people have their dinner after offering Modak as an offering to the Lord. 1. Buy quality sago for the dish. 2. At times if the quality is not good the whole lot of sago dissolves in water, so please wait and do accordingly. 3. One can avoid Asafoetida for the dish. This entry was posted in Uncategorized and tagged 30 minutes, Advance planning, Festival food, Sabudana dishes, Sankashti.